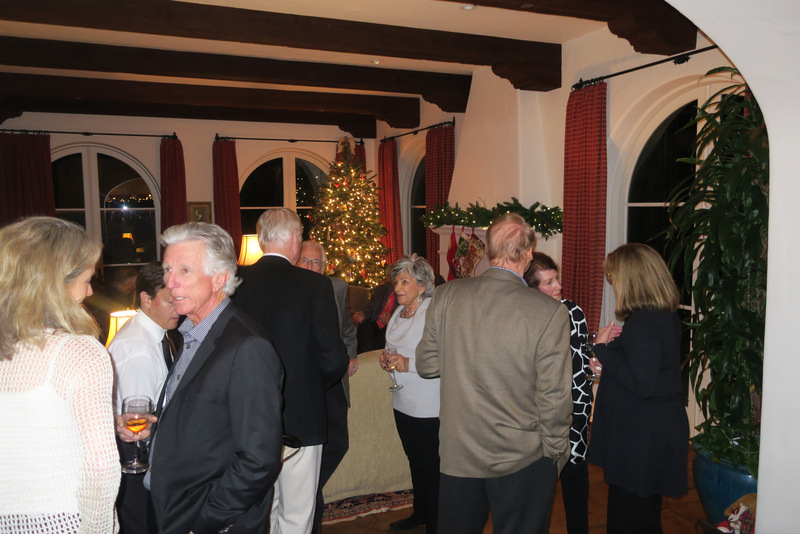 On December 10, the Santa Barbara Center for the Performing Arts Board Chair Palmer Jackson Jr. and his wife, Susan Jackson, hosted a lovely holiday gathering in their beautiful Montecito home for about 50 major donors and past and present boardmembers. The S.B. Center for the Performing Arts (SBCPA) operates the Granada Theatre and provides production, sales, and admin support to its eight resident companies and to the Lobero Theatre and the New Vic. 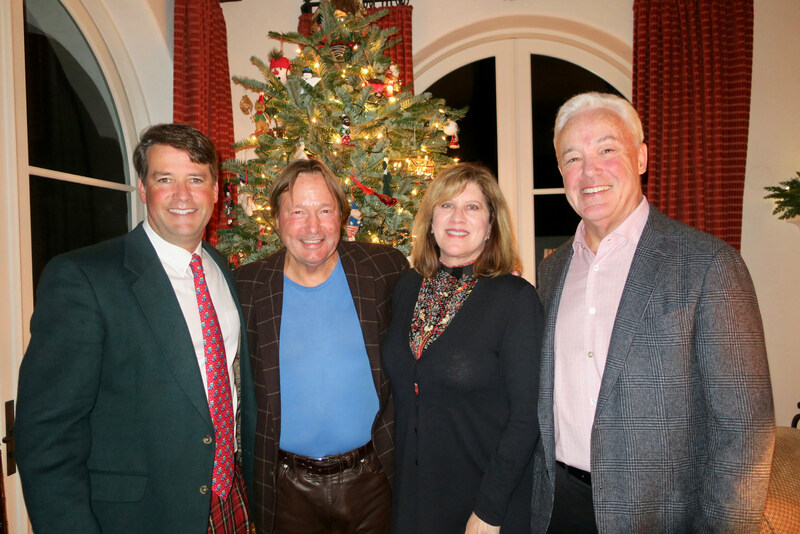 The event was a lighthearted, relaxing one full of holiday cheer, with Chris Fossek providing delightful music in the dining room and guests mingling throughout the festively decorated and elegantly appointed abode. Major donors are critically important for the Granada, which does not receive ongoing financial support from any government sources and covers only half its budget through ticket sales and earned income. Donors stepped up on a grand scale to enable the restoration of the theater, which was built in 1924. The restoration was completed in 2008 at an undisclosed cost, but it exceeded the budget by $20 million, largely due to new seismic requirements and increased material costs, which gives one some idea of the magnitude of the undertaking. The result is a world-class theater for all genres of performing arts. 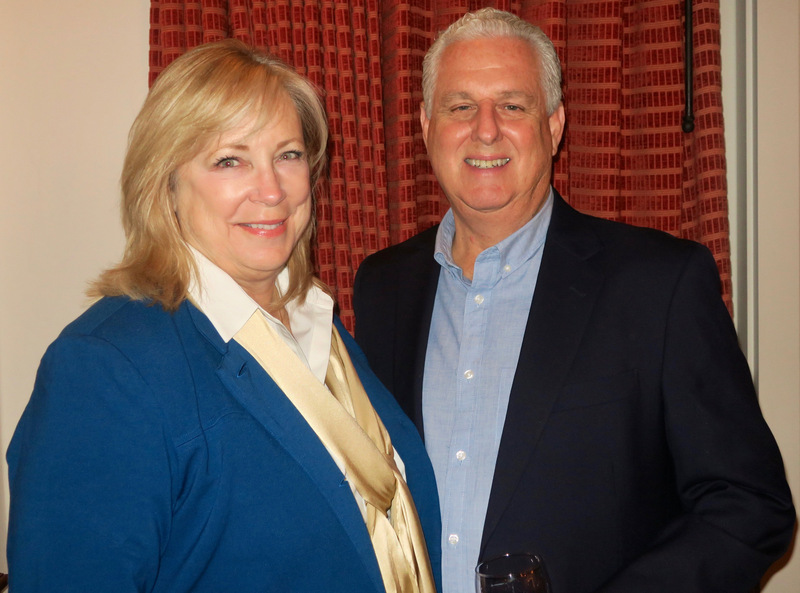 According to SBCPA Chrisman Executive Director and President Caren Rager, the restoration has created a beautiful, state-of-the-art landmark that allows SBCPA to bring the very best in the performing arts from around the world. 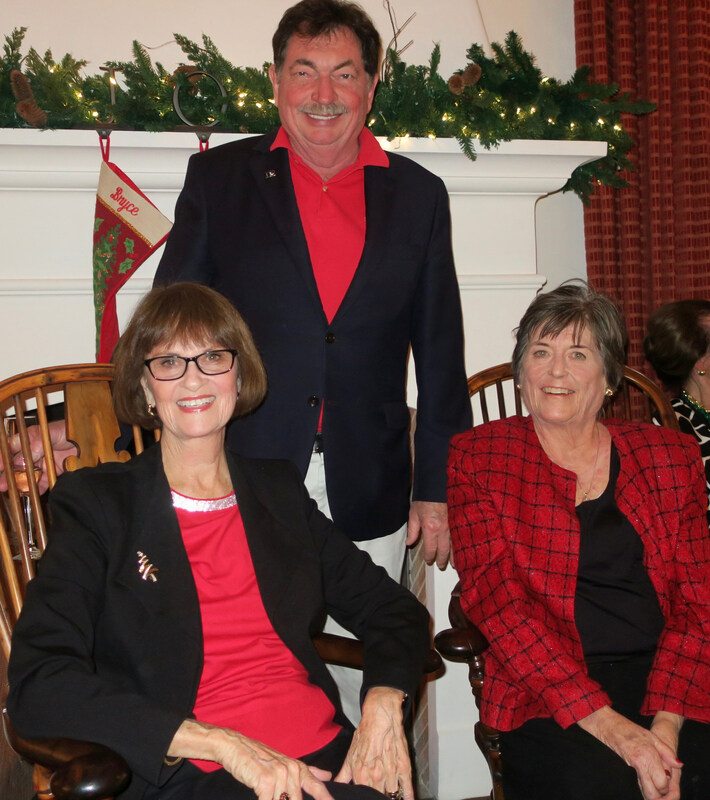 Rager, who has served in various capacities at SBCPA since 2002, including as director of administration and finance since 2010, assumed the helm last summer upon the retirement of Craig Springer. The theater offers about 115 public performances each year by its eight resident companies: CAMA (Community Arts Music Association), Santa Barbara Choral Society, Music Academy of the West, Opera Santa Barbara, State Street Ballet, The Santa Barbara Symphony, American Theater Guild, and UCSB Arts & Lectures and by numerous other premier entities. 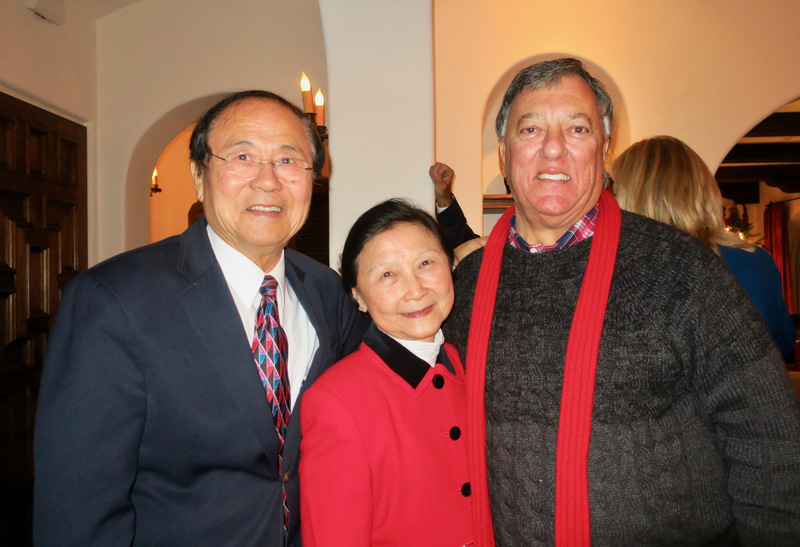 Palmer Jackson Jr., a musician and managing trustee of the Ann Jackson Family Foundation, a major benefactor to the SBCPA, has been involved with the SBCPA/Granada for years. In an interview, Jackson shared how the SBCPA’s resident companies are the cornerstone of the performing arts in Santa Barbara and these companies would have a hard time functioning without the facility and the subsidies SBCPA provides. Jackson noted that the Granada is one of the best venues of its size in the entire country, an opinion he related that is shared by many performers. Usage of the theater has increased in the past decade, and, according to Rager, further growth is anticipated in coming years. The theater also hosts nonprofit and other community events and private events. The SPCPA’s community outreach comes through the Jurkowitz Center for Community Engagement, which was established in 2010 with a gift from the Jurkowitz family. Each year, SBCPA provides to area nonprofits more than 2,000 free tickets to a wide range of performances. The nonprofits sell the tickets for a nominal fee, which they keep. SBCPA also provides vouchers for nonprofits to use in their fundraising, and a one- or two-day fellowship program each year for about 15 high school students interested in a theater career. Some upcoming performances of note are Pictures at an Exhibition by the Santa Barbara Symphony (Jan. 19 and 20), Les Ballets Trockadero de Monte Carlo presented by UCSB Arts & Lectures (Jan. 27), and Broadway in Santa Barbara Series’ performances of The Sound of Music (Jan. 29 and 30). 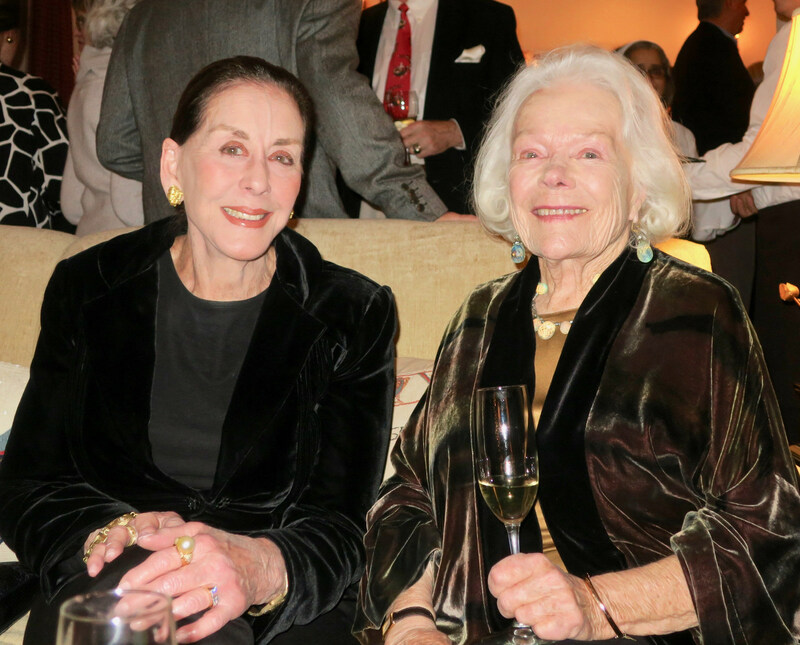 Major donors receive a plethora of benefits, in addition to invites to lovely gatherings like this. For a listing of benefits, a full list of performances, and other info about the SBCPA/Granada, go to granadasb.org. If viewing from a mobile device, click on “Desktop site” in top right. Send invites to gail@independent.com.